The snap election for the new local party representation places on Labour’s disciplinary committee, the national constitutional committee (NCC), is underway as CLPs are expected to make nominations before 28th October. The top body deals with disciplinary cases involving Labour members, including high-profile figures such as Ken Livingstone. After Labour conference voted to increase the size of the NCC from 11 to 25 members last month, there are now six vacancies to fill. It’s an important race, both for those within Labour who feel strongly the party needs to get a grip on antisemitism, and for those who believe such accusations are often motivated by wanting to attack the leadership. CLPs will cast ballots via their respective secretaries between 12th and 25th November. The timetable is tight, which Corbynsceptics claim is a factional decision. 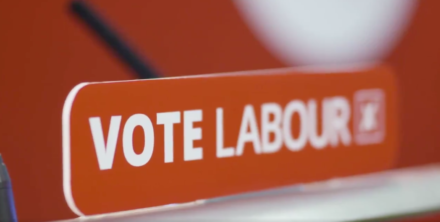 Labour First’s Luke Akehurst called it a “stitch-up” in a piece for LabourList, in which he wrote: “CLPs have been given just 27 days to nominate candidates, which will preclude many (who do not have a meeting scheduled in that timeframe) from taking part in the process or giving their officers a steer about which way to vote.” But Corbynites say the reason for the swift turnaround is wanting to clear the backlog of disciplinary cases as fast as possible. 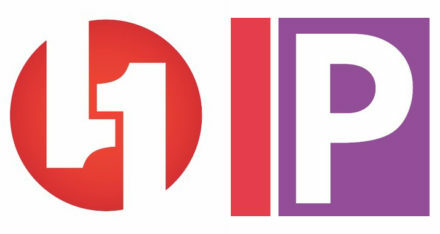 Corbynsceptic groups Labour First and Progress have a joint slate, but left-wing Corbynite organisations have split after the Campaign for Labour Party Democracy (CLPD) announced its own slate independently of Momentum this morning. The set of candidates endorsed by CLPD is also backed by Jewish Voice for Labour (JVL), the Campaign for Nuclear Disarmament (LCND), Labour Briefing Co-Op and Labour Representation Committee (LRC). Below are the full slates drawn up by Labour pressure groups that have been released so far, with candidate names followed by their home CLPs and membership numbers. Kaneez is a Labour councillor in Keighley and has held party positions including Women’s Officer. This candidate has pulled out of the race. Sonia Klein This candidate has pulled out of the race. Annabelle has previously served as a Welsh Labour Executive Committee member, National Policy Forum member and CLP Secretary. Gary is a Labour councillor, has previously stood for Parliament and held positions including CLP Chair. Stephen has previously served as a Labour county councillor and held positions including Vice-chair of the District Labour Party. Khaleed is a Labour councillor, who has held positions including CLP BAME Officer. He is Vice Chair of Young Labour Lawyers. Cecile is a former member of the TUC Race Relations Committee, has served on a Mental Health Trust, acted as a Trustee of the National Children’s Bureau and chaired a Women’s Refuge. She has held positions including CLP Vice-chair. Keith is chair of the South East Regional Board; a Labour councillor for 34 years; a former representative of Unite’s National Political Committee; and chair of Labour First. Gillian is a borough and parish councillor, and former county councillor as well as a parliamentary candidate. She’s a former Unison Shop Steward, supporting members through various grievance procedures and hearings. Kirat has been a member of the Labour Party for over 12 years; former BAME officer of Birmingham Young Labour and between 2013-2014; sat on the National Executive Council of the National Union of Students. Kirat Raj Singh was not able to secure a nomination from his home CLP. Caroline is a councillor in New Forest; a member of the South East regional board since 2012 and experienced investigator of member’s conduct. She’s an active member of the GMB and Labour Women’s Network. Labour councillor in Trafford since 2011; previously Chair of Health Scrutiny and Shadow Exec roles, Executive Portfolio Holder for ASC; CLP NPF representative for 7 years; a member of Unison and Community Union. Malcolm has been a sitting member of Glasgow City Council since 2012 and is the Vice Convenor of the Finance and Audit Scrutiny Committee. Khaleed is a Labour councillor and a solicitor who has been involved in antiracist campaigning and the campaign to stop the privatisation of council housing in Haringey. He is Vice Chair of Young Labour Lawyers, and a specialist in arbitration and dispute resolution. Cecile is a professor of sociology at the University of Nottingham with extensive expertise on race relations. She has served in numerous positions of responsibility as part of the National Children’s Bureau, the TUC Race Relations Committee, a Mental Health Trust and chairing a Women’s Refuge. Martin has dealt with disciplinaries and grievances as a senior trade unionist for the past 25 years, and has experience chairing disputes panels and designing training projects. He is Secretary of Cornwall LCF and a member of the South West Regional Board. This candidate has pulled out of the race. Jabran is a solicitor-advocate working primarily on legal aid cases, personally representing clients in court. Jabran joined the Labour Party aged 16 and has held a wide variety of positions, including currently as Secretary of Bradford LCF, a member of the regional board. Annabelle has decades of experience working for the Ministry of Justice and previously worked as with Rhodri Morgan during his time as First Minister of Wales. She has been a member of the Welsh Labour Executive Committee, the National Policy Forum and a CLP Secretary. Susan is a lifelong Labour Left activist and Labour councillor for Todmorden in Calderdale. She has previously been a CLP Chair and for years was the vice Chair of the Labour Representation Committee. She is committed to improving members’ and the public’s trust in our disciplinary structures. Steve Hart is a former CLP chair. Steve Hart was not able to secure a nomination from his home CLP. Steve Lapsley is an Open Labour national committee member. Michelle Perfect is a county councillor in Flint and has been Labour Party’s regional organiser for North Wales.